We’re very excited to announce the launching of our new social media packages. With the rise of social media as a valuable marketing tool, we’ve come up with solutions that utilize sites like Facebook, Twitter and Google+ for extending your clients’ market reach. Our packages are complete, scalable, and available in wholesale prices. Make sure to view our Social Media Services page for the full lineup of services we provide. All of these solutions are available in our management dashboard. Simply input your client’s details, choose the service package you want, and click launch. We will immediately begin your campaign once we receive your request. Log on to your dashboard and you will see the packages in our service line-up, or sign up and claim your free dashboard today. Our social media marketing solutions come in packages for every business size and every budget. 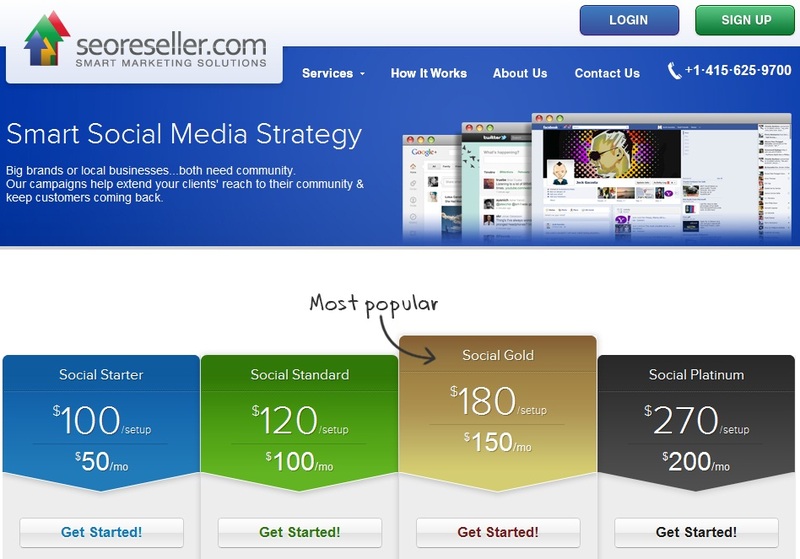 Order our Starter, Standard, Gold and Platinum Packages and mark up their prices to gain more profit. Our Social Gold Package, the most popular selection, only costs $180 to set up and $150 to maintain in the following months. Expand your services, draw in more clients and gain an edge over your competition. Check out our Social Media Packages and add them to your current service line-up today. What’s Best For Your Title Tag?